Gorgeous remodel turn key home in Club Monaco. Each bedroom offers vaulted ceilings with plenty of closet space. Kitchen: Newer stainless steel appliances refrigerator, Range/Oven, Dishwasher plus garbage disposal in stylish kitchen all included. Bonus pantry in kitchen. Solid surface/Quartz style counter top in kitchen with kitchen bar entertaining area. Beautiful engineered hickory hardwood flooring. Family room offers vaulted ceilings and warm Wood burning fireplace. Home layout is an open floor plan. Smart thermostat connects to your Mobile device. Upgraded lighting. true 2 bedroom; 2nd bedroom fully enclosed and features a really sharp upstairs custom bathroom with subway tile, tile flooring, shelving. Roomy deck offers plenty of outdoor space. pet friendly community. Great community swimming pool. 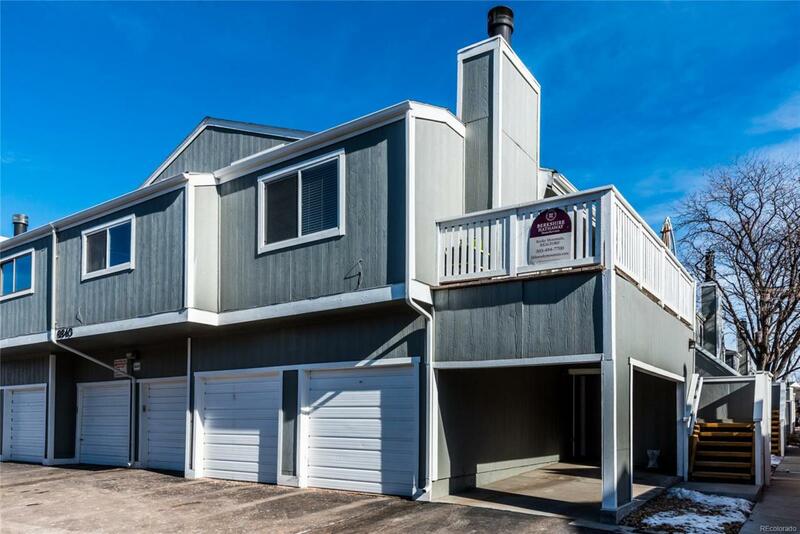 Walk to Denver's Garland park with lighted tennis courts and more. great dining/shopping nearby. Be sure to check out the 3D virtual tour.